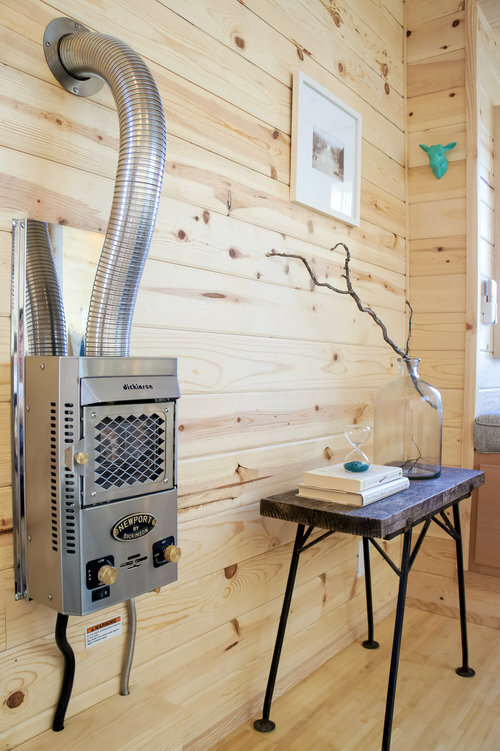 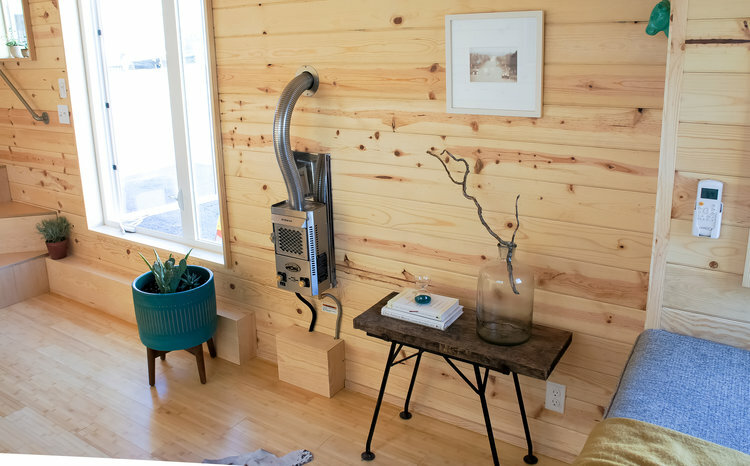 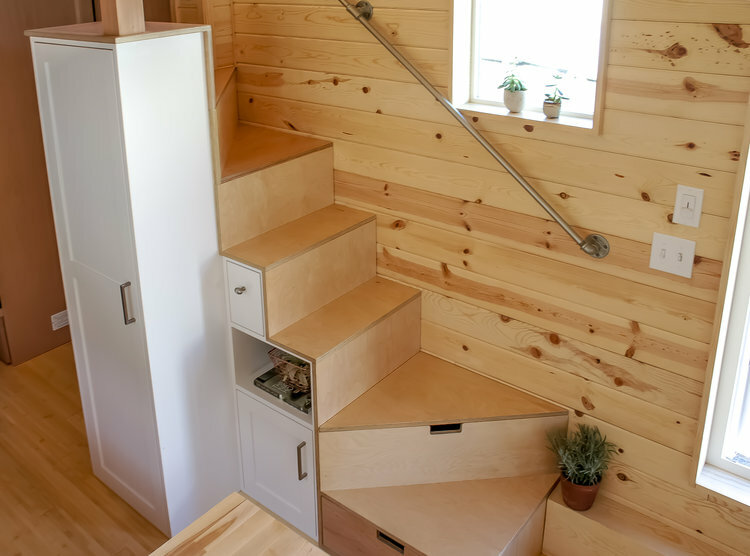 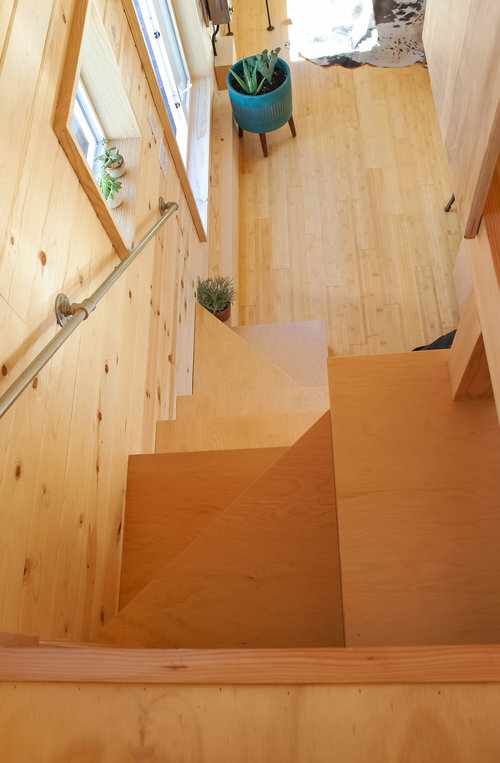 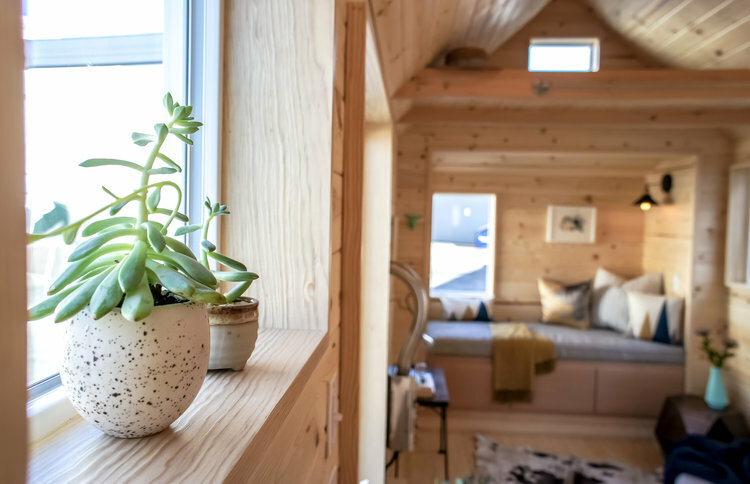 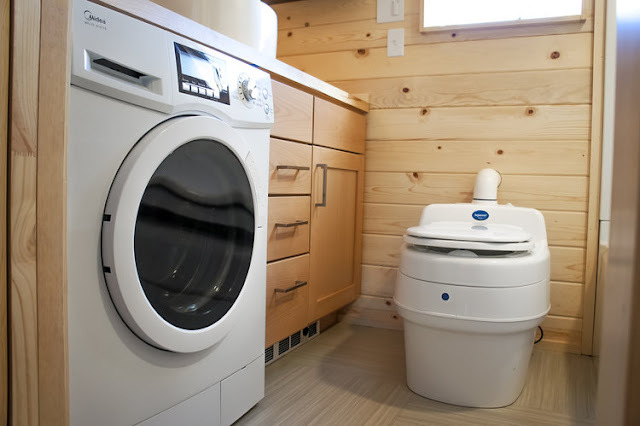 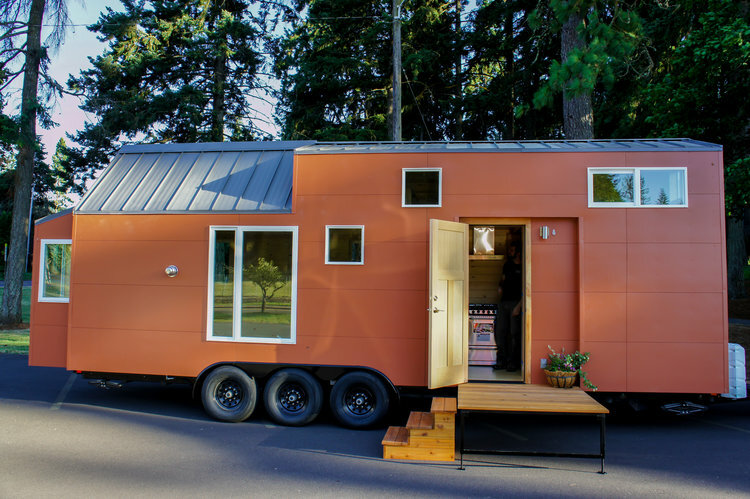 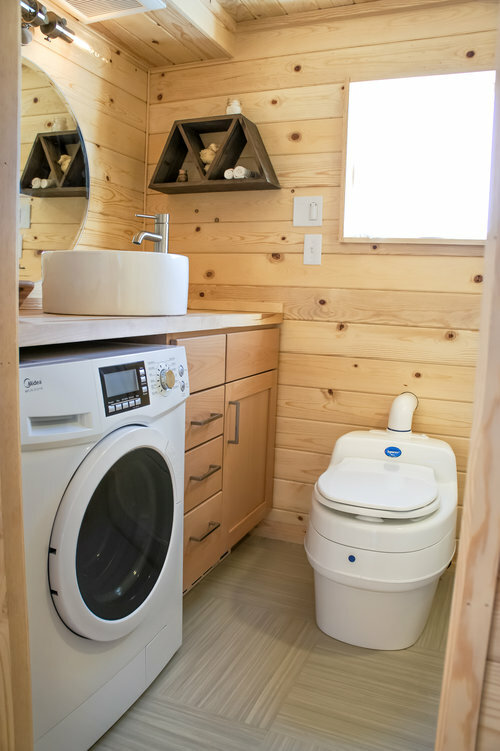 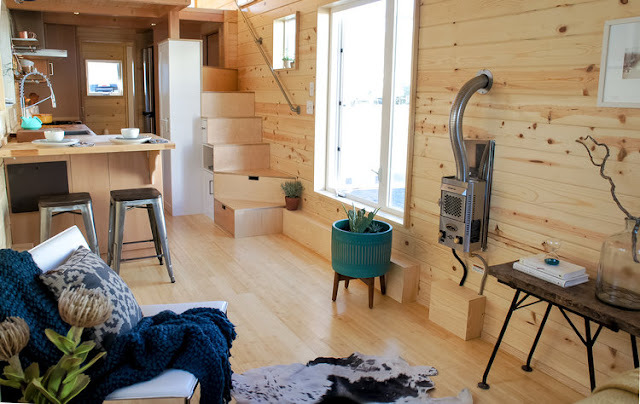 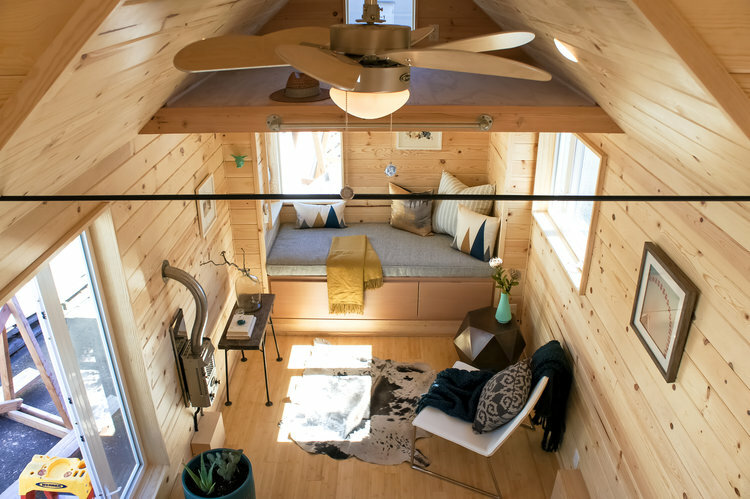 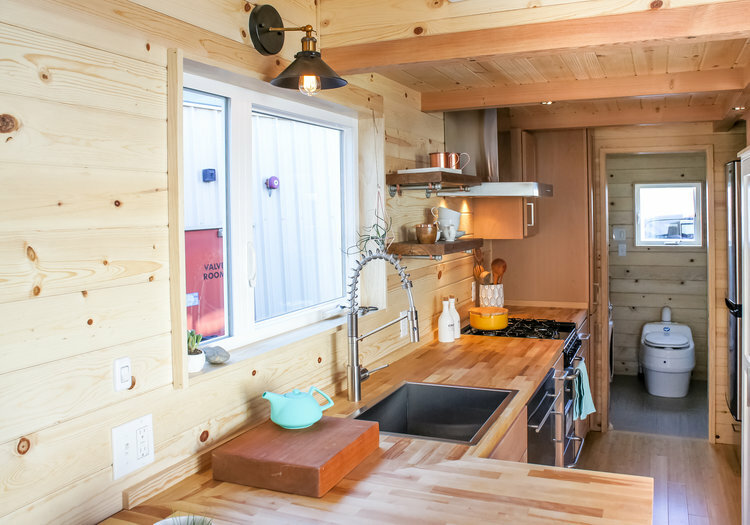 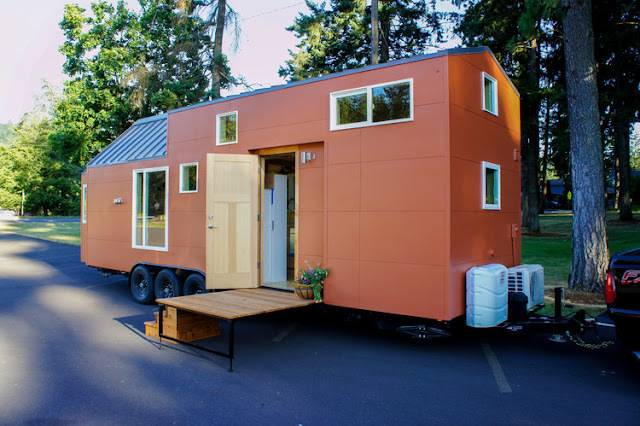 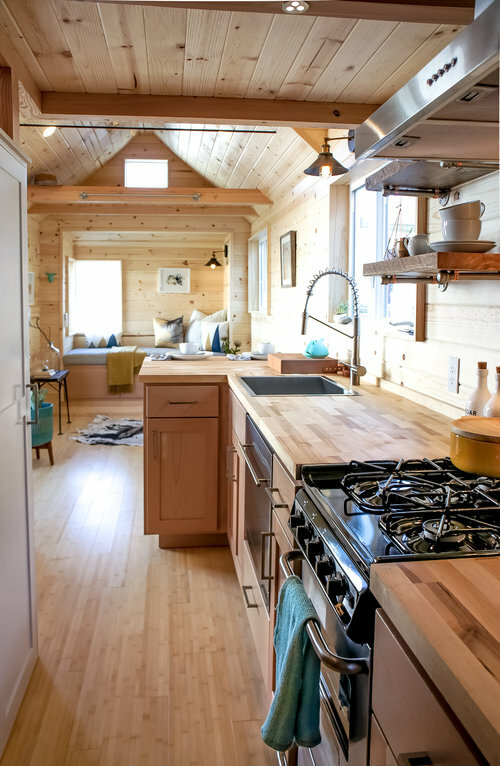 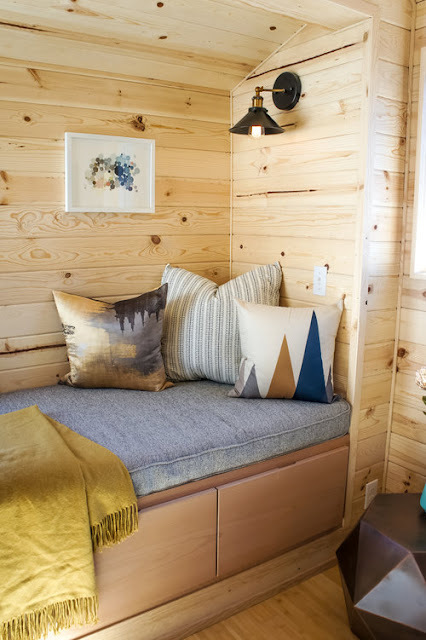 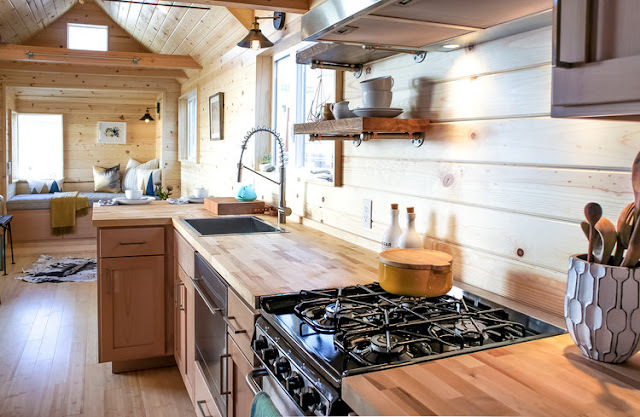 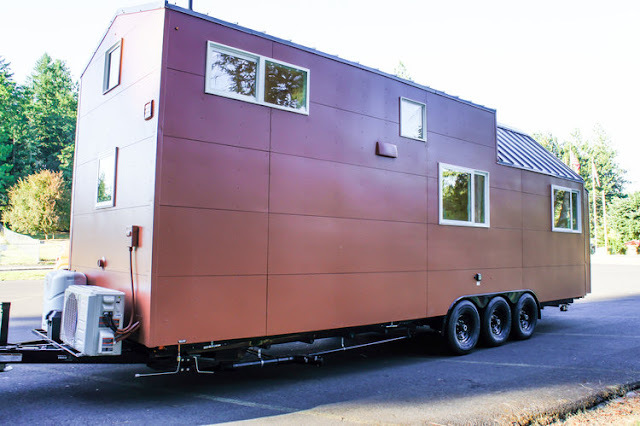 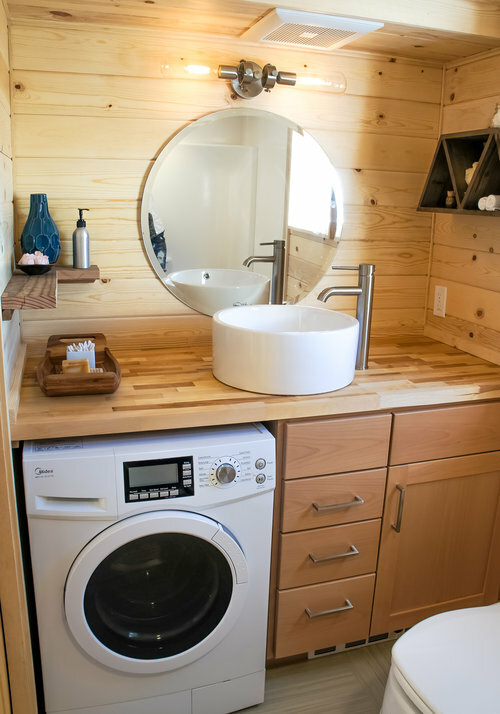 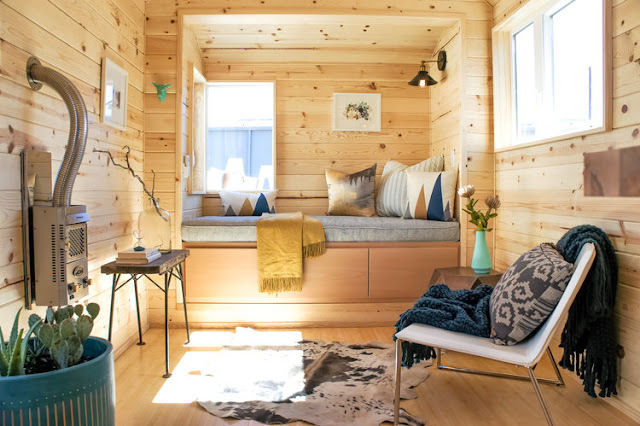 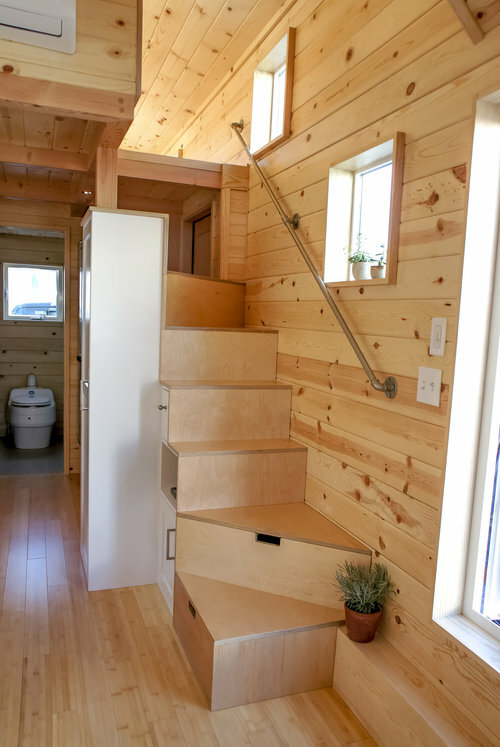 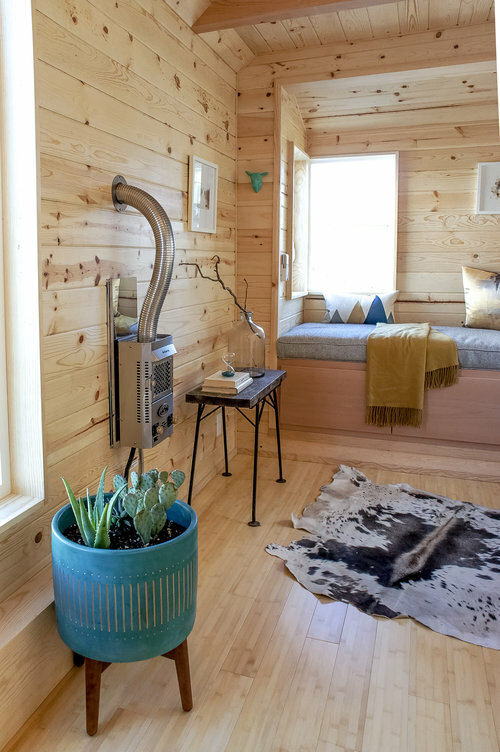 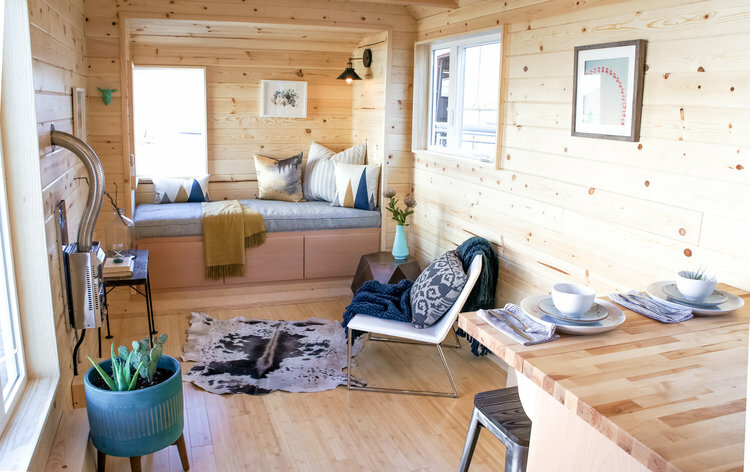 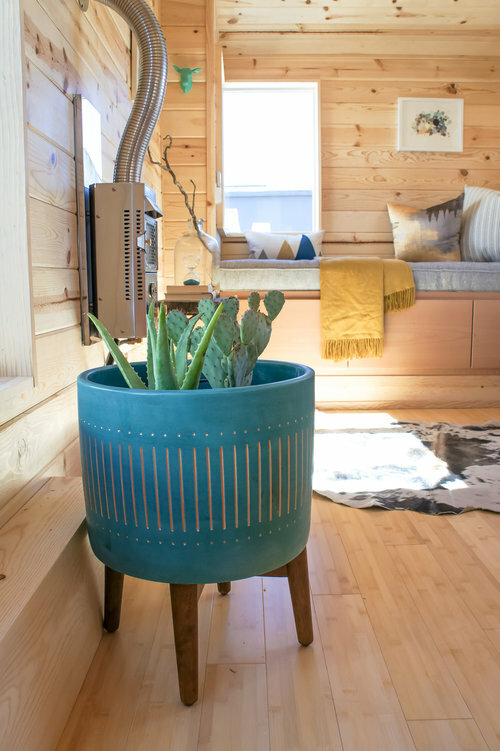 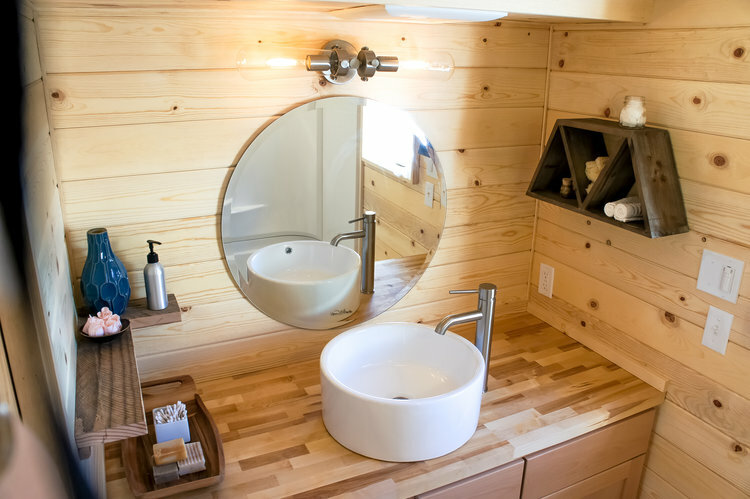 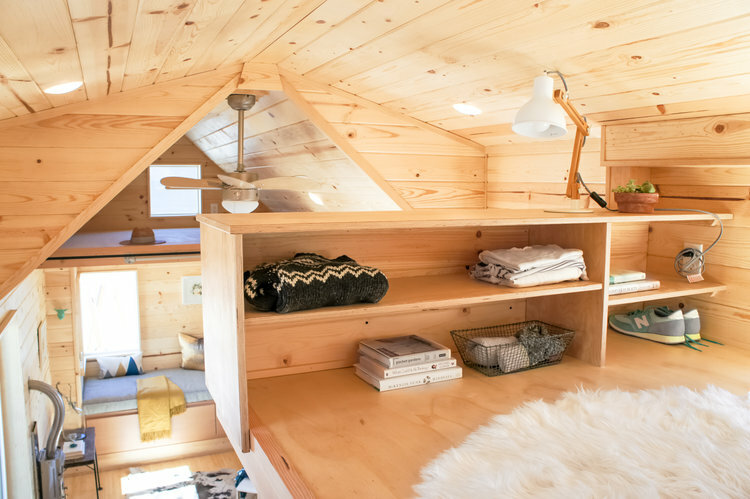 From Tru Form Tiny Homes is this beautiful all-wood home with a modern/rustic design. 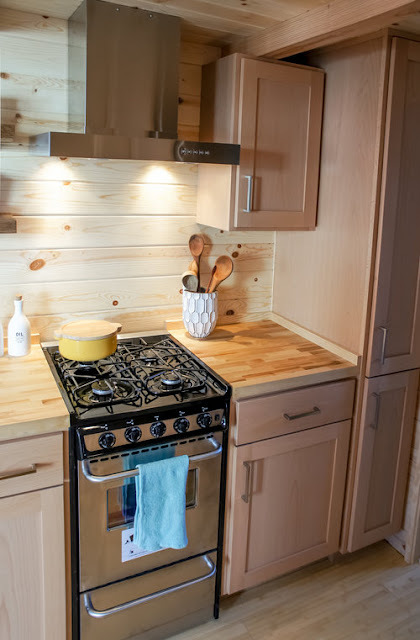 The home is one of the company's "Kootenay" models and has the same layout as the original but with a different style! The home has a cozy living room with a built-in storage bench, a wood burning stove, and plenty of windows to let in plenty of natural light. 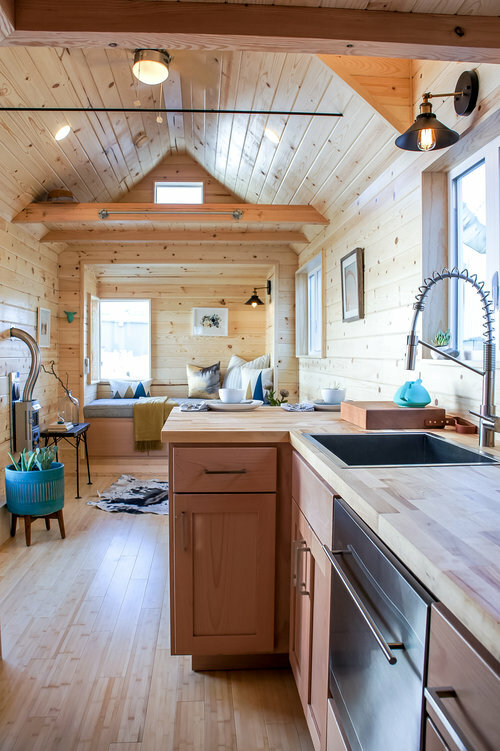 There's also a full kitchen, a loft bedroom, a second loft for storage, and a bathroom with a washer/dryer unit underneath the counter! 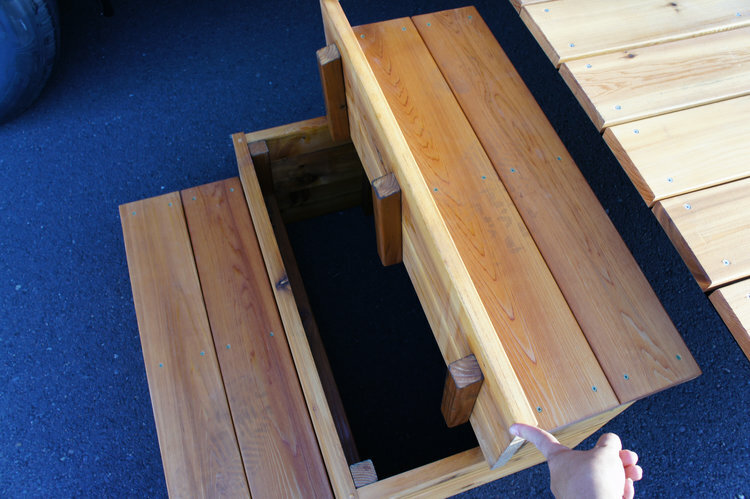 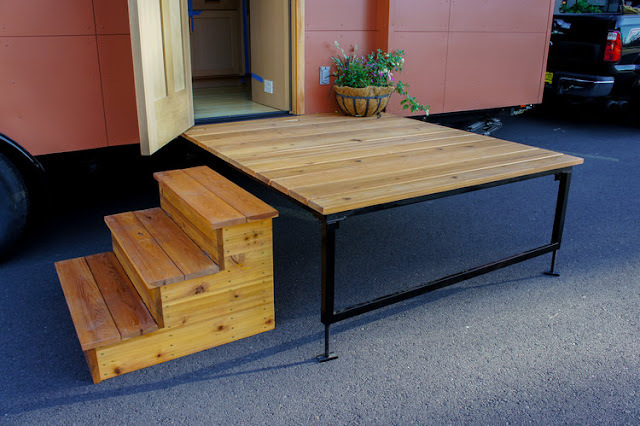 The owner also added a small front deck to create some additional space outside! 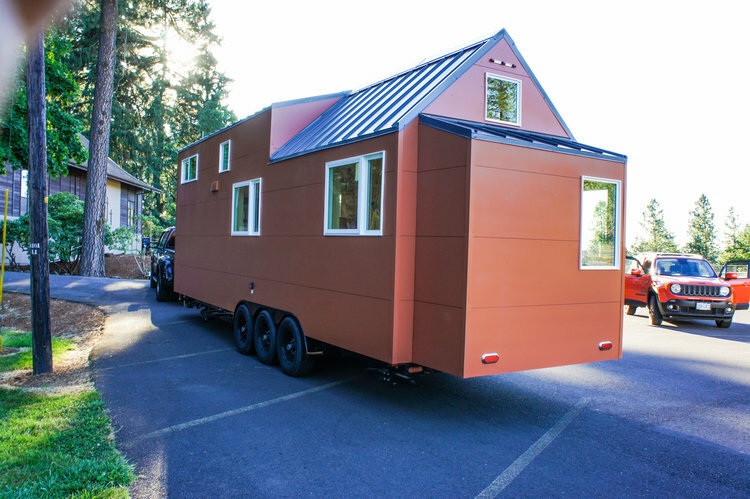 For more information about this home and/or the builder, contact Tru Form here!